I encapsulate placenta’s for my clients. I do this because I believe that some women need the extra hormones, protein, and nutrients after giving birth to properly heal. I know many women (most probably) are grossed out by the idea of consuming their placenta (called placentophagy) but many consider it after experiencing depression, or a low milk supply with a previous baby. The purpose of this post is to spell out, simply, the pro’s and con’s of consuming your placenta. I want to put the facts out there in a simple format so the average mother can look at the list (I’m a list girl, sorry) and decide pretty easily if placentophagy is for them. Please remember that I am not a midwife (yet) or a doctor so I am not giving you medical advice. Everything I say here is stuff I’ve learned in my experiences and from what I’ve read and learned in various places; internet, textbooks, talking with friends. What Substances Are Found In The Placenta? * Oxytocin: This is an important hormone found in the mother’s body all throughout labor and after the birth of her baby. It is responsible for her contractions, her uterus clamping down after the birth, her milk let down, and the birth of the placenta, just to name a few. It’s also known as the ‘love hormone’ as it’s present during marital relations. * Iron: Iron is rich in all organ-type meats. 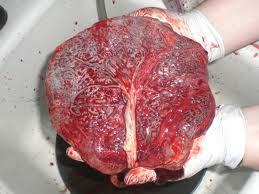 If you’ve ever looked at a placenta it looks much like liver, except it has blood vessels running all through it. The color is a deep, dark red. An increase in iron is known to give you energy, promote healing, and help to build your blood up. * Human Placental Lactogen: These hormones are responsible for your mammary glands producing milk. Your body produces this hormone on its own but it is also found in your placenta. * Cortisone: Known to increase energy and help with excessive stress. Also reduces inflammation and swelling. * Prolactin: Stimulates milk production. * Vitamin B6: Energy!! It’s also used to combat depression. * Interferon: Stimulates the immune system to help fight infection. * Prostaglandins: Anti-inflammatory. Helps the uterus contract down to it’s pre-pregnancy size. * Toxins: As this organ serves as connective tissue between the mother and the baby everything the mother consumes must pass through it. Unfortunately, this means that any toxins the mother has in her environment will also be in the placenta as it works as a filter, protecting the baby as much as it can from toxins and poisons. With so many good ingredients in the placenta it’s hard to see that it can do anything BUT help the mother. With this is mind, now I’m going to list the pro’s and con’s that I’ve found with consuming the placenta after childbirth. 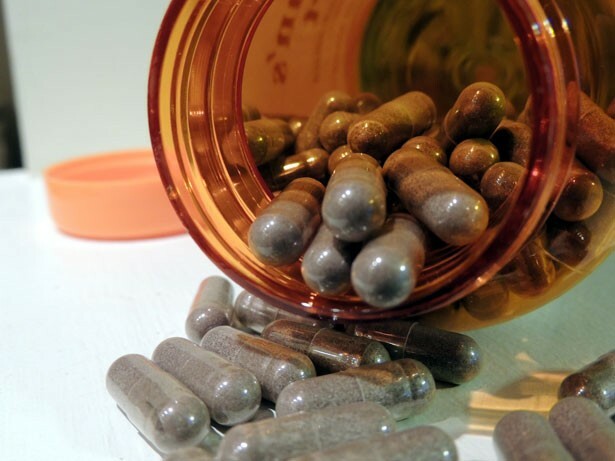 * Taking your placenta in the form of pills is ‘clean’ and ‘normal’ and just plain easy. There’s much less gross factor! * Most mother’s speak of having a lot of extra energy; a nice addition when caring for a newborn. * Milk may come in sooner and be of higher quality due to the increase of prolactin in your system. * The hormones in the placenta (oxytocin) work as a hemostatic, causing the mother’s bleeding to decrease faster. * The iron, prostoglandin’s and oxytocin aid in the healing process, bringing the uterus to it’s original size and shape quicker. * As 80% of new mother’s experience some sort of baby blue’s (moodiness, sadness, anxiety, feeling of being an inadequate mother, etc. ), the extra hormones and iron can help level out her mood and emotions. * As it is a filter some are concerned that it can be contaminated with the toxin’s of the mother’s environment; alcohol, tobacco, pesticides, etc. * If you’re eating it in it’s original form, cooked or not, the flavor may not be too great. Many attribute it to the high blood content but the taste is said to be similar to liver. * Some don’t get any of the benefits they were seeking. They don’t see a rise in their milk or energy supply, for example. * Friend’s and family may frown upon you eating your placenta, if this is important to you. Personally, I believe God gives everyone what they need to fulfill His holy will. For us mothers this would be to be good wives and mothers. If our hormone levels are so out of whack that we can’t think straight or heal correctly I believe that God may have provided the answer in the organ our baby (and our own body) produced, and now no longer needs. It just makes sense to me that God wouldn’t leave us stranded there with no answers and only pharmaceutical drugs (just a ‘band-aid’ of sorts) to help us. Your placenta is made unique for you and your baby, and I believe it’s for a reason.